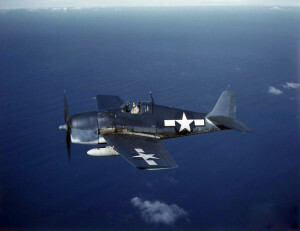 On May 20, 1945, an F6F-5N Hellcat, (Bu. No. 79082), was about to land on the runway at the Charlestown Naval Air Station when the right wing suddenly dropped and hit the tarmac causing the plane to leave the runway and flip over onto its back. The pilot suffered minor injuries, and the plane was damaged. Source: U. S. Navy crash report.